What Is The Definition Of Duck Under Delivery In Cricket? 1. 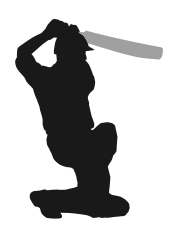 This happens when a delivery bounces very close to the bowler, making it appear as though the ball will bounce up very high near the batsman’s head. The batsman ducks to avoid being hit, but in a duck under delivery, the bounce is lower than anticipated. The result is usually the batsman being dismissed leg before wicket or bowled. 1. The striker received an unexpected duck under delivery, and his dismissal was swift.